I looked at the Watchmen 360. I tried to pretend it looked like a spreading tree, shadows pooled beneath it, but it didn't. 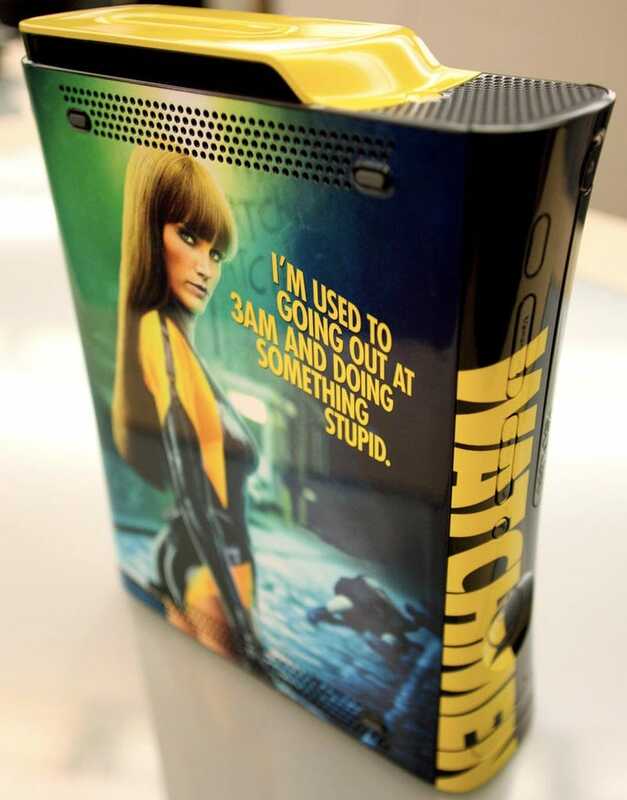 The Fresno Beehive is giving away this fairly impressive Watchmen-themed Xbox 360.